A couple months ago I posted some thoughts in conjunction with a 1977 Chet Lemon card about the all-1970s roster I was pitting against the all-era squads of my esteemed competitors in a “media league” in the online Rob Neyer Baseball game. The season, which had been a lot of fun, came to a wrenching end this past weekend: my East Randolph Kerouacs, after maintaining a slim division lead for the majority of the season, tanked down the stretch, losing five of their last six games, including a three-game sweep at the hands of Carson Cistulli‘s cellar dwellers (who had already amassed 99 losses going into the series). Still, we had a chance going into game 162, just one game out of first. If we beat Norm Wamer‘s squad (which had contended all season long and had only just been eliminated), and Jonah Keri’s Montreal McGaffigans lost, the Kerouacs would have moved into a tie for first. I made a few in-season moves. The two major ones: Bobby Bonds got injured in the second half of the season and was going to be out for 22 games, so I dumped him for Dwight Evans; Terry Forster was a gas can as a reliever so I released him and picked up Bruce Sutter. The first move was at least a push, considering all the games Bonds would have missed had I held onto him, and the second was a marked improvement, but neither move was able to help stop my team’s gradual but relentless decline over the course of the season. I guess it’s fitting. A team of guys from the 1970s would be destined to start out in an Aquarian sunburst of hope and gutter eventually to a Three-Mile Island/Skylab/Hostages-in-Iran sense of rainy, disintegrating defeat. 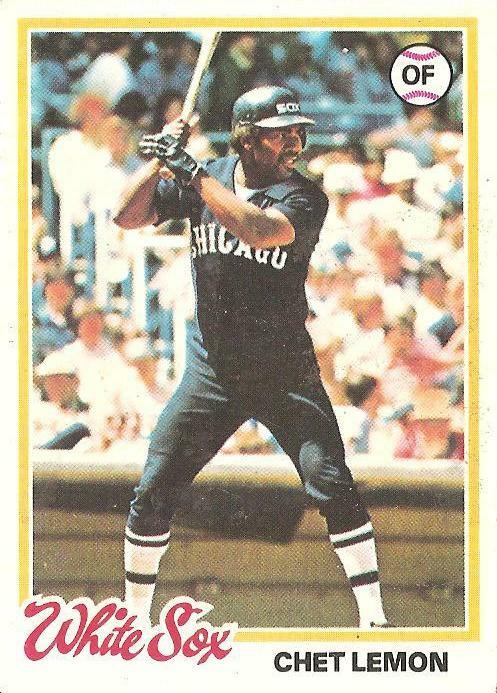 When the season began Oscar Gamble’s afro was in full bloom; when he took my team’s final feckless swing, he surely was sporting no more than a faint echo of his earlier magnificence. I have a friend named Chet (short for Chetan) and his favorite brand/flavor of booze is Bacardi Limon. For a long time, I called him Chet Limon, especially when we went out drinking. He’s from India and has never followed baseball so he doesn’t understand why I like that nickname so much. Will you play another season in the league? Would you employ a different strategy in player selection? It was fun, and I’d definitely play again. I kept it pretty simple this time–play in a homer park and try to outhomer people (which worked insofar as my guys hit 179 dingers and gave up 113 but which didn’t work well enough for the playoffs). I’d probably keep it simple again, but in an opposite way–play in a huge homer-killing park and gather guys who can get on base and run. This was the basic strategy of the just-concluded league’s winningest team, helmed by Rany Jazayerli. What were the parameters for selecting players? I saw Albie Lopez but not Ty Cobb. I remember when Chet Lemon was playing for my hometown Detroit Tigers. maybe a year or two after the ’84 Championship. I was a young kid working in a suburban Detroit restaurant. A waitress I worked with had the bad fortune of having her car break down. She was picked up roadside by Chet Lemon in his white Excalibur!!! Later that night, Chester came back up to the restaurant, had a couple of drinks with her, and gave her a ride home in the Excalibur, like a true gentleman (wink wink)!